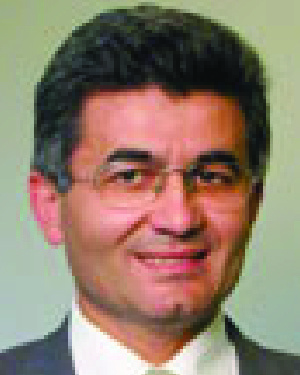 Mesut Senol attended the University of Minnesota as a Humphrey Fellow from 2000 to 2001. His study focused on civic initiatives, democracy, human rights, and the management of non-profit organizations. During his time in Minnesota, he took graduate-level courses and worked with the Minnesota Council of Nonprofits. His presentation "Traditions of Nonprofits in Turkey and in the United States" was well received, both in the U.S. and in Turkey. He graduated from the Institute for Public Administration for Turkey and the Middle East with a master's degree in public administration in 1986. Mr. Senol is president of the Canakkale International Center in his hometown. This non-governmental organization, founded and led by Senol, is designed to promote and project Canakkale internationally and plays an important role in promoting cooperation between Europe and the Middle East. Mr. Senol has also played a significant role in creating the Galipoli International Prize, which is designed to recognize achievements in the fields of peace, art, literature, and science. In June 2004, Mr. Senol organized the First National Conference on Nongovernmental Organizations to be held in Turkey. His work has identified him as a pioneer in the field in Turkey and has resulted in him being approached to teach a course on nonprofits at the Biga Faculty of Economics and Administrative Sciences at Canakkale University. From 1980 to 1994, Mr. Senol was district governor and mayor, and in this capacity he launched and led a number of campaigns, initiatives, and festivals on environmental, educational, and cultural projects as well as historical preservation. While in this position, he was also responsible for coordinating relief efforts for Kurdish refugees who were fleeing from northern Iraq. From 1994 to 1996, Mr. Senol served as head of public relations and prime ministerial adviser in Ankara and from 1996 to 2002 as adviser to the National Security Council. In this capacity he advised the Security Council on issues relating to human rights and international organizations. On his recommendation, courses on democracy and human rights were started in educational establishments, from primary schools to universities. He also supported the introduction of television and radio programs that introduced the concept of human rights to the general public. In naming Mr. Senol a recipient of the Distinguished Leadership Award for Internationals, the selection committee cited the broad impact of his leadership at both the national and local level in the area of human rights, democracy, and nonprofits.